The Monster High™ dolls are ready for the howlways dressed for the first day of school. Ari Hauntington™ doll looks fabulous in her signature look. Flexibility at the shoulders and knees adds to the fun with more scary cool poses and storytelling possibilities. The daughter of a ghost is spooktacular in a purple, blue and red boo-hemian dress with ghost-inspired print, ruffled collar and floaty ruffled hem. Flawesome fashion accessories include a gore-geous pair of translucent red boots, a translucent red bangle, matching translucent chain-decorated belt and translucent chain-adorned bag. Look for monsterrific touches, like her translucent skin and long purple hair, that showcase this favorite Monster High™ character’s freaky fabulous flaws. 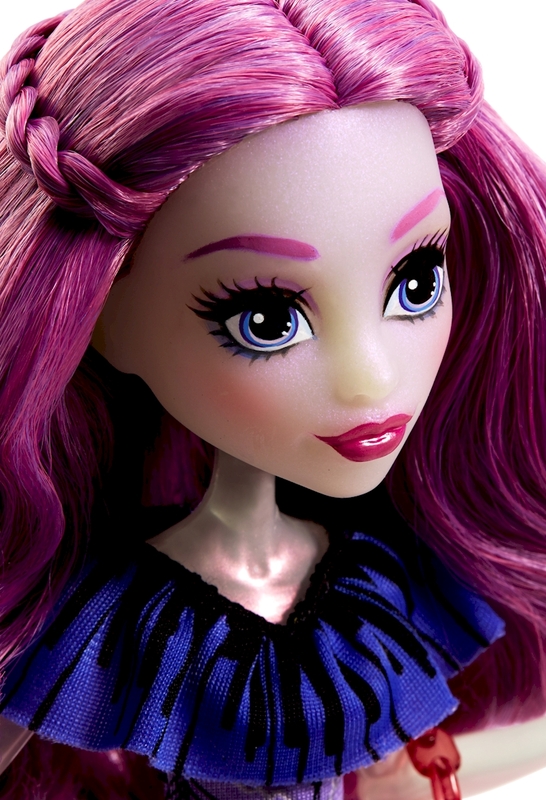 Ghouls at home will love learning to embrace what makes them unique along with their beast friends from Monster High™. Collect all of the Monster High™ dolls for a full class attendance in your howlways (each sold separately, subject to availability). Includes articulated Ari Hauntington™ doll wearing fashion and accessories. Doll cannot stand alone. Colors and decorations may vary.